The Honorable David Dinkins was the 106th Mayor of New York City from 1990 to 1993. He also served as New York State Assemblyman, President of the NYC Board of Elections, City Clerk and Manhattan Borough President. He is a recipient of The Congressional Gold Medal for his service in the Marines during World War II. · John Franco is a New York Mets legend, playing 15 of his 22 Major League Baseball seasons for the team and serving as its captain for his last four. A native of Brooklyn and a graduate of St. John’s, John Franco ranks fifth all-time in career saves and third all-time in games pitched. · Nick Fotiu is a New York Ranger great, playing 8 of his 13 seasons in the NHL for his hometown team. A native of Staten Island, he was the first Ranger from the New York City area and a fan favorite throughout his career. 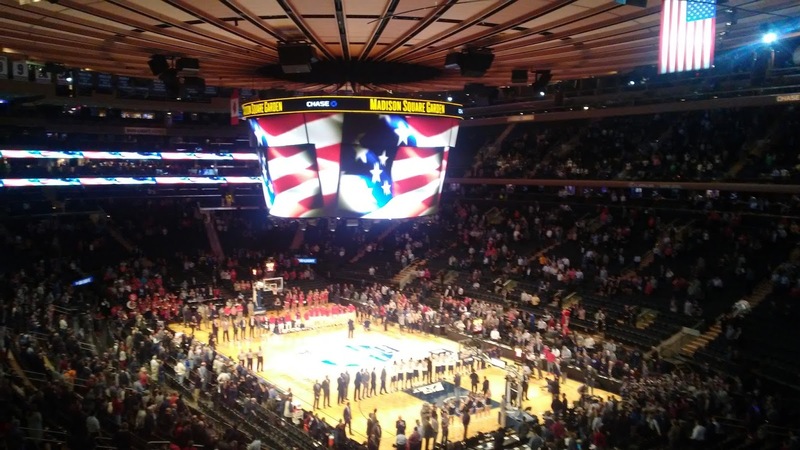 · Floyd Bank is the former Boys Basketball Coach at Long Island City High School. Bank took over the basketball program in 1961 and went on to become one of the winningest coaches in New York State history, with 592 victories. · Brenda Butler is a Civilian Administrative Aide with the New York Police Department. She has been with the New York Police Department for 35 years. · Monica Cobham is a senior nurse clinician for NYU Langone Medical Center. She has been a nurse in New York City for over 35 years. · John Demas coached men’s basketball for 30 years at Bryant High School in Queens and has coached girl’s varsity basketball at Maspeth High School in Queens for the past two years. · Martina Eng is a senior nurse clinician for NYU Langone Medical Center. She has been a nurse in New York City for over 35 years. · Timothy Fairless is a Bus Operator with the Metropolitan Transportation Authority. He was recognized in the Daily News for subduing an intoxicated and violent passenger until police arrived. · Steve Faulk has been a commercial sanitation worker in New York City for 23 years. He is a member of Teamsters Local 813. · Sheldon Glaubach is a Lieutenant at EMS Division 5 Station 22. Has served with EMS for 36 years. · Nichola Hammond is Program Administrator for the Transitional Services Department at the New York City Department for Homeless Services. · Neil Harmon is Deputy Chief of Programming and Strategic Management for Recreation at New York City Department of Parks and Recreation. · Art Hyland is the current Basketball Rules Editor for the NCAA and former Supervisor of Officials for the Big East. He has seen every Big East Tournament game that has been played in Madison Square Garden. · Shawn James is Deputy Chief of Recreation for Queens at the New York City Department of Parks and Recreation. · Ralph Johnson is a Station Agent with the Metropolitan Transportation Authority. He received the Daily News’ Hometown Heroes in Transit Award for risking his life to stop a train after a woman had fallen into the tracks. · Bill Lindauer has been a yellow taxi driver for over 30 years and is a member of the New York Taxi Workers Alliance. · Ron Linfonte is head athletic trainer and the men’s basketball trainer for St. John’s University. He has attended all 35 Big East Tournaments. · Steven Litwin is a Detective with the New York Police Department. He has been with the New York Police Department for 36 years. · Edwin Llopiz is a Sports Coordinator in Brooklyn for the New York City Department of Parks and Recreation. · Vurnell Martin has worked for the Department of Parks and Recreation for over 17 years and has coached students that went on to play college basketball. · Brian McGuire is Georgetown's Associate Athletic Director of Facilities & Operations. He has worked for Georgetown for 38 years and has attended every Big East Tournament. · Bruce Mitchell is a Bus Operator with the Metropolitan Transportation Authority. He received the Daily News’ Hometown Heroes in Transit Award for safely crossing the RFK Bridge while a disturbed passenger yelled and accosted fellow passengers. · Robert Mungiguerra is a Lieutenant at FDNY Company 316 in Queens. He has been a firefighter for over 37 years and has a daughter who graduated from St. John's in 2005. · Carla Nasso is the Head Girls Basketball Coach at Flushing High School. During her 32-year career in NYC public schools, Carla has coached a variety of sports including tennis, handball, softball and volleyball. · Andre Parker is a Detective with the New York Police Department. He has been with the New York Police Department for 35 years. · Michelle Randal-Williams is a Detective with the New York Police Department. She has been with the New York Police Department for 35 years. · Vincent Rosati is a Captain for EMS Division 3 and has been with EMS for 36 years. · Lou Scara is a Recreation Supervisor in Staten Island for the New York City Department of Parks and Recreation. · Beresford Simmons has been a yellow taxi driver for over 40 years and is a member of the New York Taxi Workers Alliance. · Richard Skellington is a Lieutenant of Fire Department of New York’s Engine Company 305 in Queens. He has served 39 years with the FDNY and graduated from Saint John’s University in 1977. · Trelane Spencer is a Superintendent with New York City Transit’s Track Division. He received the Daily News’ Hometown Heroes in Transit Award for running over 4 tracks to save someone who had fallen. · Pat Torney just completed his 41st year coaching basketball at the high school level and his 22nd year as the Head Boys Basketball Coach at Newtown High School. At Newtown, Pat coached former NBA players Smush Parker and Charlie Villanueva. He also taught St. John’s Coach Chris Mullin in both health and physical education. · Brian Tullo is a sanitation worker at the New York City Department of Sanitation. He is a member of Teamsters Local 831.